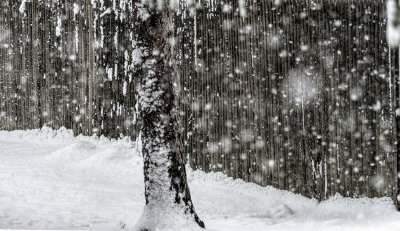 Very nice capture of the falling snow. Another cold day for Frank. Vote. Beautifully made image. It is winter. This certainly conveys winter so well. Really like how you captured the falling snow.